Buy this and your school gets €3.12 to spend on books Orders of €10 or more will earn 25% of your order value back in Scholastic Rewards for your school. Twist your tongue around these funny and creative rhymes to see how many laughs you can whip up. Our daft poems will make you chuckle very loudly. Great for sharing with your mates! You can rap or rhyme them, mime them out or tackle fiendish tongue-twisters. 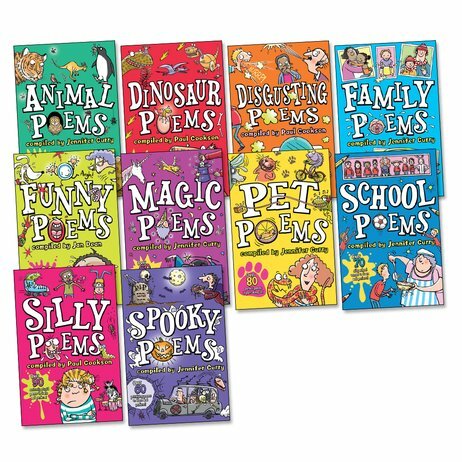 Tons of rib-tickling rhymes to send you potty about poetry, and they’re cool for school as well.